Planning a trip to the Grand Canyon? There is nothing quite like looking out over the canyon! 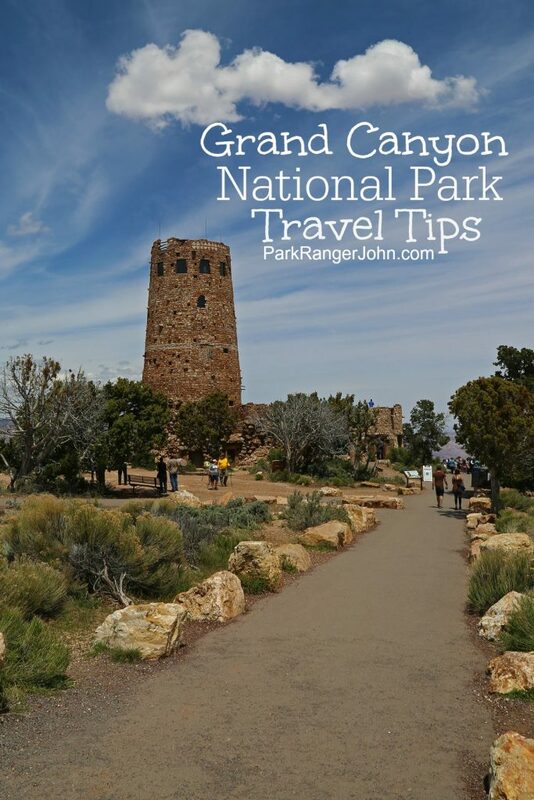 We wanted to share our best Grand Canyon National Park Travel Tips. These are things we have learned, experienced or found out the hard way. Hopefully, they will make your trip even more amazing! Visitors – The Grand Canyon celebrated six million visitors on December 12, 2016! There has been more than 200 million visitors to the Grand Canyon since it’s establishment in 1919. -Many areas of the park are only accessible via tour buses. Make sure and plan in time to wait for the buses and if there is a line. Also bring water with you since it can get quite warm. -Be prepared for bugs! Mosquito repellent is your friend. We have started using this spray that you can put on your clothes before your trip. -Please be careful! Every time we are at the Grand Canyon we have a few gasping moments as people back up towards the edge for photos. -Water, water, and more water! Make sure and bring a water bottle with you. The park no longer sells bottled water. You can buy a water bottle at the gift stores and fill them up in most of the buildings. We found this cool Grand Canyon Water Bottle on Amazon if you want to shop ahead of your trip or remember a great trip to the Grand Canyon. -90% of park visitors visit the South Rim, be wild and take a trip to the North Rim for a different perspective of the park. -Be aware of the elevation, bring sunscreen and a hat. I managed to get quite pink on our last trip because we forgot sunscreen. -Wifi is available for purchase in the lodge areas if you are not staying on site. We did not have any cell or data service during our time in the park. -Parking can get a bit crazy depending on where you are in the park. If you are staying at one of the lodges you may need to make a few loops to get a spot near the lodge. -Be prepared for crowds! Have a family meeting spot that everyone knows to go to. It is very easy to get lost in a crowd at the popular overlooks and near the visitor center. -After a few pull offs it honestly starts to look the same. Pick and choose which ones you want to visit. -Keep an eye out for wildlife. We saw elk right next to the road as we were driving through the park. -Get gas before you get into the park! -The general store is great for souvenirs, snacks, and drinks. There is even a special Grand Canyon wine that benefits conservation. -Each park store has its own national park stamp. -Tour buses are the only way to access some sections of the park. Be prepared to wait at times for the buses. -Be prepared for bugs! Mosquito repellent is your friend! I know I said this twice but trust me it is a thing! -The sunset tour is a great way to see the park at dusk and get to the best sunset spots. What does it cost to get into the Grand Canyon? No refunds are given due to inclement weather. Grand Canyon National Park Vehicle Permit: $30.00 (U.S. Dollars) Admits one single, private, non-commercial vehicle and all its passengers. Organized groups are not eligible for the vehicle permit. 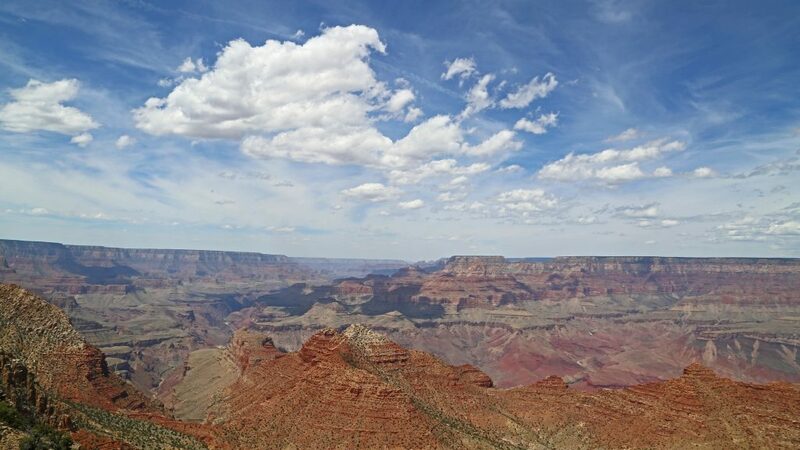 Grand Canyon National Park Motorcycle Permit: $25.00 (U.S. Dollars) Admits one single, private, non-commercial motorcycle and its passenger(s). 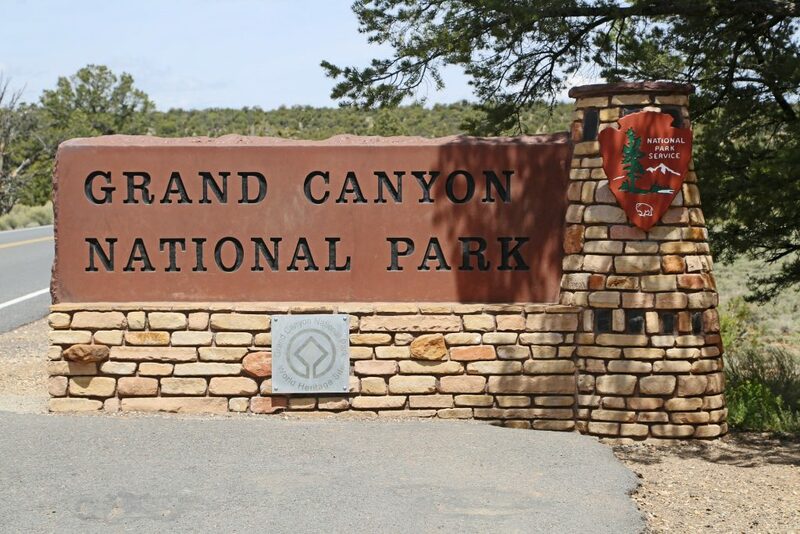 Grand Canyon National Park Individual Permit: $15.00/person (U.S. 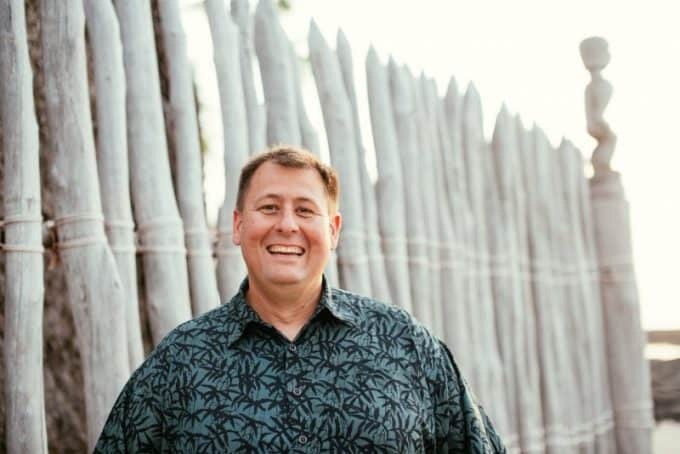 Dollars) Admits one individual when entering by foot, bicycle, park shuttle bus, Grand Canyon Railway and private rafting trip. Individuals 15 years old and younger are admitted free of charge. Check out my post on all of the US National Park Passes that are available. One thing that may surprise first-time visitors to Grand Canyon National Park is the lack of safety rails or well anything to keep you from falling into the abyss. I know that sounds dark and gloomy but make sure you keep an eye out on where you are walking, and if you have kids with you keep an eye on them! 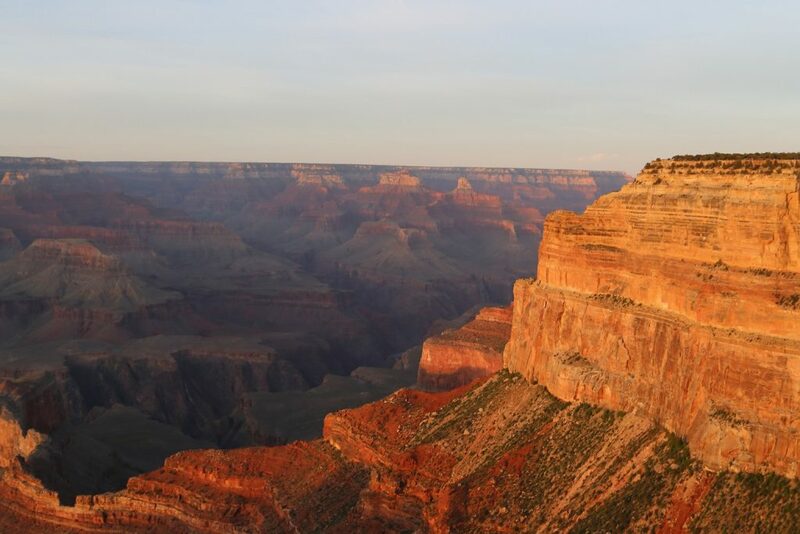 Check out other great parks while visiting the Grand Canyon! Here are a few books on the Grand Canyon for more trip-planning information! 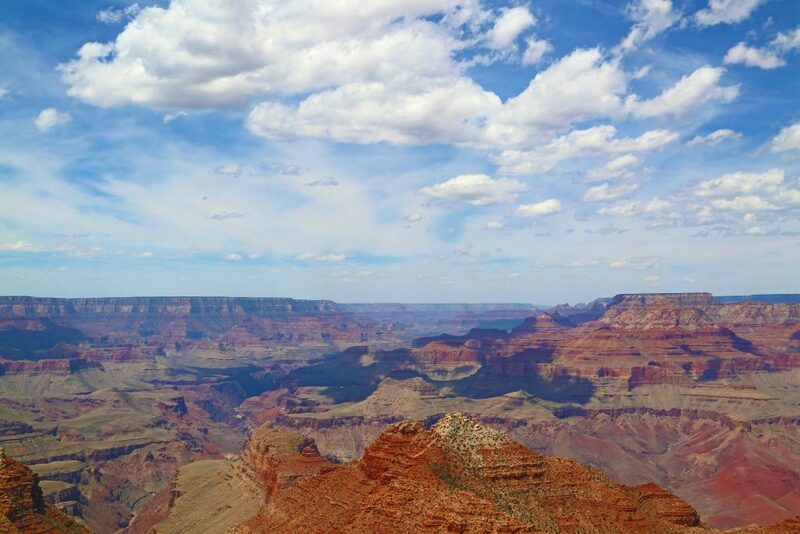 Grand Canyon National Park Travel Tips to help you plan your Arizona Vacation. Things to do, photography, hiking and more! Check out this list of US National Parks to count how many you have visited! I have always wanted to visit the Grand Canyon, and my husband and I are thinking of taking a tour this fall. Thanks for sharing these great tips to help us make this a memorable and enjoyable experience. Like you said, we will want to be aware of the elevation and bring sunscreen and a hat.